Our vast inventory allows us to quickly provide you exactly what you need, and no more. The United Specialty Alloys centrally located Midwest inventory saves you money and machine time. With over 3 million pounds of steel in stock, many specialized orders can be completed within 1 week or less. 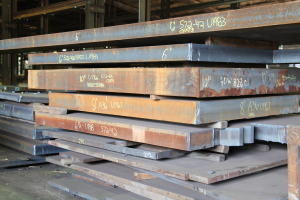 We also stock a large variety of steel bar. We have the processing capacity to complete you order on schedule and on cost saving you the headaches of worrying when your steel will be ready.